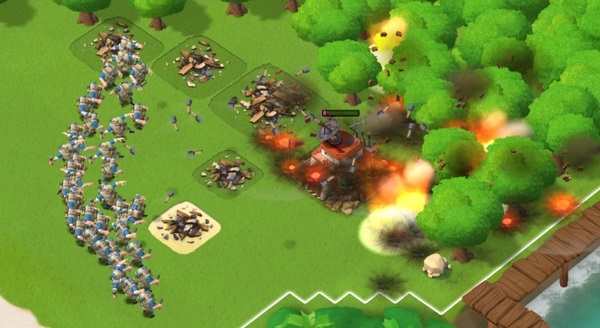 Today we present you a guide for grenadiers in the game boom beach. This is a strategy guide for the use of Grenadiers with tips for fighting and attacking in the app. If you like to get a know about Zookas in Boom Beach, check out our previews guide about them. Best land to attack is beach village with machine guns ,flame throwers or economy building in front. 4- ( boom cannons / prototype ) one shoot = one kill , so always stay away as much as u can. 4 (sniper tower) one shot is ok , 2 shots = kill . The idea behind Grenadiers is they are not accurate in hitting their target so try to read the defense layout well before attacking, shooting the out of range defense and hitting the real threat lay behind, use your barrage on artillery to clear the prototype before landing then shock launcher, your next target is boom cannons then shock launchers, if any of the main threat defenses lay in the 2nd or third raw try to use shock i/o barrage as your grends is trying to hit the 1st raw but actually destroying the 2nd & 3rd raws earlier. After clearing your way to the HQ try to flare them as near as u can to HQ so they will be more accurate . If the beach is full of sniper towers and boom cannons in front the other trick is to smoke your way to the back and start to attack from the back to front . They are fun and efficient to use the only downside is they took a long time to train in case lost many , which might affect the Resource rewards boosting . Finally, your best friend is the flair try to keep flaring them in front of economy building . machine guns and flame thrower in order to get the defenses behind . 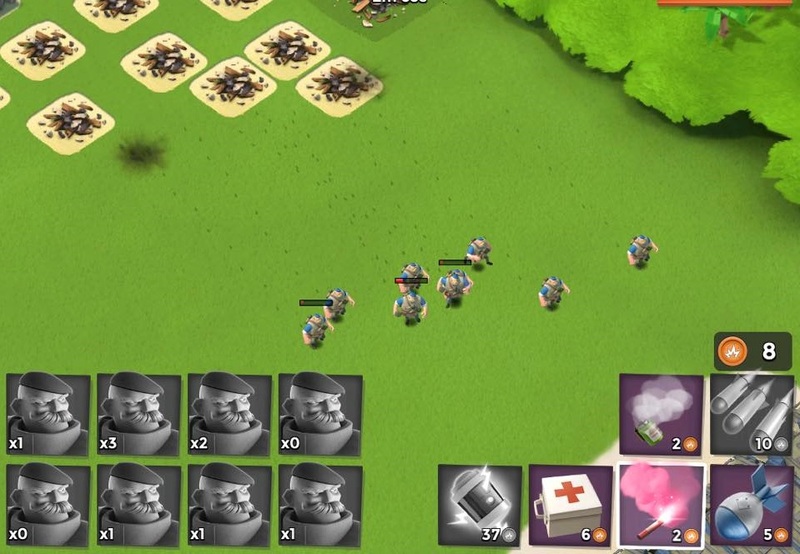 Do you have some more good ideas on how to use Grenadiers in Boom Beach? Please leave a comment below! Be the first to comment on "Grenadiers Guide for Boom Beach"